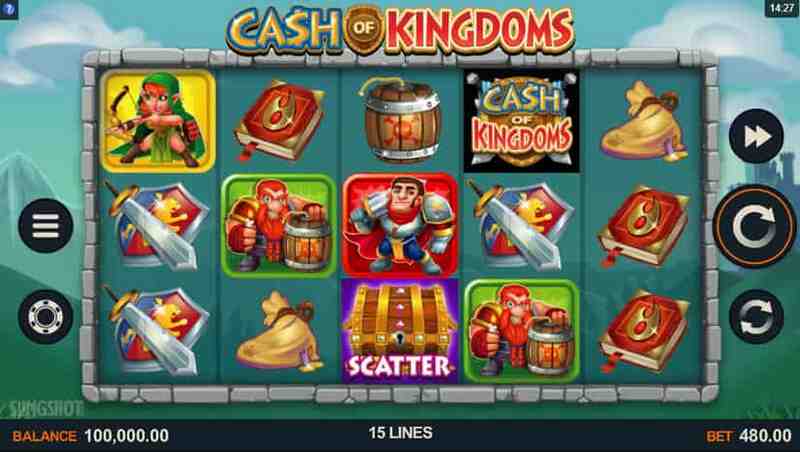 The Cash of Kingdoms slot is the result of a collaboration between Sling Shot Studios and Microgaming. As the first in what will most likely be a long line of releases coming from this new partnership, it looks like they’ve gotten off to a great start. The slot features very well done audiovisual content with high definition graphics and clean, smooth animations. 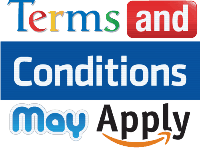 There are also some interesting bonus features that can boost wins significantly. Cash of Kingdoms is a 15 fixed pay line, pay both ways (winning combinations can be from the left or the right) slot featuring cartoon character symbols that you might run across in the “Clash of…” type strategy and RPG games that seem to be so popular on all the app stores these days (See what they did there?). There are five high-paying symbols consisting of a knight, a mage, an archer, a stealthy bomber, and a thief. The five low-paying symbols on the reels are made up of the equipment each character would use, such as a sword and shield, a spell book, and a quiver of arrows. Betting options on this slot have quite a large range. Players can select both coin size and how many coins they’d like to bet on each of the 15 lines. The minimum is a value of £.01 and 1 coin per line. The maximum is a coin value of £1.00 and 32 coins per line. If you’re doing the math with us here, you should have worked out that that gives us a minimum and maximum bet of £.15 and £480 respectively. With the extremely wide range of betting options, Cash of Kingdoms is a good fit for everyone from super-low to super-high rollers. The bonus features on this slot seem to trigger fairly often, keeping things exciting during play. The pay both ways feature really increases the chances to hit winning combinations. Matching symbols can start from either the left or the right to score a win. The 96.28% RTP rate is very good for players. Playing long enough, you should get a lot of play time and value for your wagers. The bonus features trigger reasonably often, but there aren’t many of them. They’ve included some classic features, but it feels like the game is missing something. Including an interactive feature that simulates the battles in the genre of games that this slot is based on would have made it perfect. Unfortunately, Microgaming is one of few companies still holding onto the coin value plus number of coins betting system. Matching line bets, overall bets, and payouts can get confusing. A simple, straightforward wager amount on each spin would make everything much easier to understand. There are two basic bonus features on the Cash of Kingdoms slot. There’s the classic free spins feature, and then some variations on the wild symbols. During the regular game, wilds can appear on reels two, three, and four. Stacked wilds can also appear on reels two and four. In addition, when a stacked wild lands on reel two or four, one of the adjacent reels will also turn into a stacked wild. Free spins are triggered, as you might have guessed, by landing three scatter symbols. When they hit, you’ll receive 10 free spins. During free spins, and additional scatter symbols that stop on the reels will add one more free spin. In addition, if stacked wilds land on reels two and four, reel three becomes wild and all wins are doubled. This seems to be a low variance slot, so if you are a conservative player that don’t want to take much risk, you should be fine playing this online slot. I personally loved the graphics and sound effects. This game was built putting lot of attention to detail. The 96.28% RTP makes it a great choice when thinking about choosing a nicely done and reasonable slot game. Cash of Kingdoms have similarities with the Viking series from Yggdrasil. Did you try Vikings Go Berzerk or Vikings Go To Hell? If you liked this one, you will definitely like the other two since they resemble somehow one to another. Vikings Slot by Genesis Gaming. Vikings Age Slot by Betsoft – also available in USA and Australia. The Vikings series by Yggdrasil.